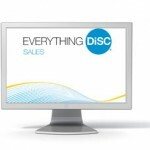 Everything DiSC® Sales Interaction Guides are designed as an additional resource to a Everything DiSC Sales training session. It includes the Everything DiSC Sales Map and tips for working with different styles These maps can be used to identify an employee’s style or as a reminder before meetings. They are are wallet size and ideal for a dayplanner, or briefcase. Color images are printed on high-quality, durable paper. Everything DiSC Sales Interaction Guides are designed to be used with the Everything DiSC Sales Facilitation Kit and Everything DiSC Sales Profile; sold separately. Explanation of the evolution of DiSC Classic to Everything DiSC. Validity research on Everything DiSC model. Telecom company sales staff uses Everything DiSC Sales Profile to get insight into clients’ buying styles and how to better communicate and sell to customers. Salespeople see the strengths and weaknesses of their selling style and learn to adapt to their clients communication and buying styles.